This is a die-cut Hoffman’s Ice Cream porcelain sign. This particular Hoffman’s Ice Cream sign is white with black and red text. 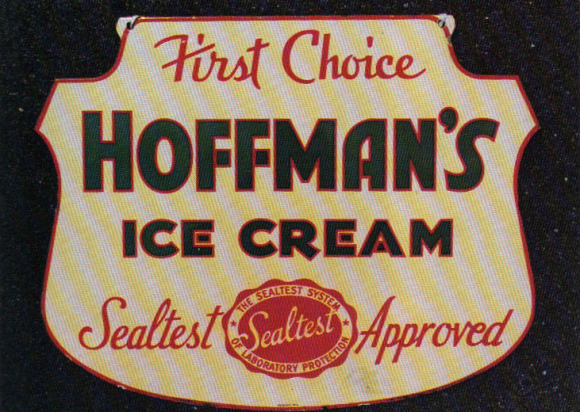 It reads, “Hoffman’s Ice Cream, First Choice, Sealtest Approved, The Sealtest System of Laboratory Protection” and features a thin red border.